This month, Lloyd’s of London, one of the world’s oldest financial institutions, has committed to appointing women as part of its governance committee. This is good news and should be applauded. Along with another example wherein Lloyd’s appointed its first ever female CEO in Inga Beale, this may look to be a turning in the tide, but we mustn’t lose sight of the big picture. Any improvement in the role women play in financial organisations is welcome, especially as recent reports continue to maintain that they are disproportionately likely to succumb to extra workplace pressures. When it comes to making the workplace more diverse and inclusive, the insurance and personal finance sectors are moving in the right direction, but there is more to be done. According to a Mercer report, 14% of executive level staff at financial services companies are women. This is particularly surprising when you consider that, to contrast this, more women than men are graduating from university. Research from the Higher Education Statistics Agency states that 57% of graduates are female. Furthermore, though more marginal, 51% of graduates from finance and business degrees are women. Were there no other external circumstances at play, 51% of CEO’s at financial companies should be female, though this is a far cry from reality. This is, in my opinion, symptomatic of the established system in which women find themselves against the odds to climb to the top. The recent proactivity of the sector is refreshing and may help towards fostering a culture where key decisions are made by a diverse and inclusive workforce. This is an important first step and could even help towards addressing the imbalances of power in the finance world. An example of this is found in how Lloyd’s has chosen to call a meeting with their own senior underwriters and brokers to pursue their commitment to establish a way forward for the sector. As a society, we are becoming much more comfortable with having these conversations about disparity, not least because it is now very well documented that the more diversified an organisation is, the better it performs in its own objectives. Logically, the broader a range of skills and ideas that an organisation has, the more able they are to innovate and actualise. Therefore, if we exclude people from our talent pool, we are only making things harder for ourselves. These things said, exclusion comes in many shapes and forms, including the institutionalisation of systems which create barriers, even if unintentionally. In order to address and repair these systems, we must continue to be candid and honest, remembering that different types of people are impacted differently. What’s more, we must maintain an understanding of the importance of addressing these differences, and the willingness to make a change, even if it means a disruption to the milieu that we are used to; for today is when we build tomorrow. It is imperative that the insurance and personal finance profession continues to make a proactive effort to address entrenched gender inequality. 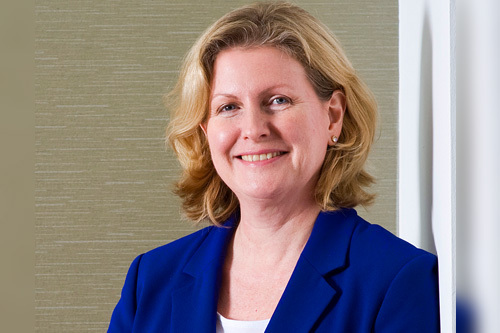 As the first female chief executive of the Chartered Insurance Institute in the organisation’s history, I am extremely proud of the efforts being made by my profession to create a fairer, and consequentially, more successful sector - one which better represents the society it serves, and one which is therefore able to build public trust.